December not only heralds the (traditional) start of the festive season, but it's also the middle of winter. Time spent outside is kept to a minimum – if you can help it!. And if you're hanging washing outside, the only 8 hours of daylight means you need to be quick! It comes as no surprise that many of us in the UK choose to dry our clothes indoors. If not for the cold or the lack of sunlight, the 30 to 40 days of rain in winter makes this seem a sensible decision. So, it came as a bit of a surprise when I read this article on drying clothes inside. The article is based on three years worth of research conducted in Glasgow. 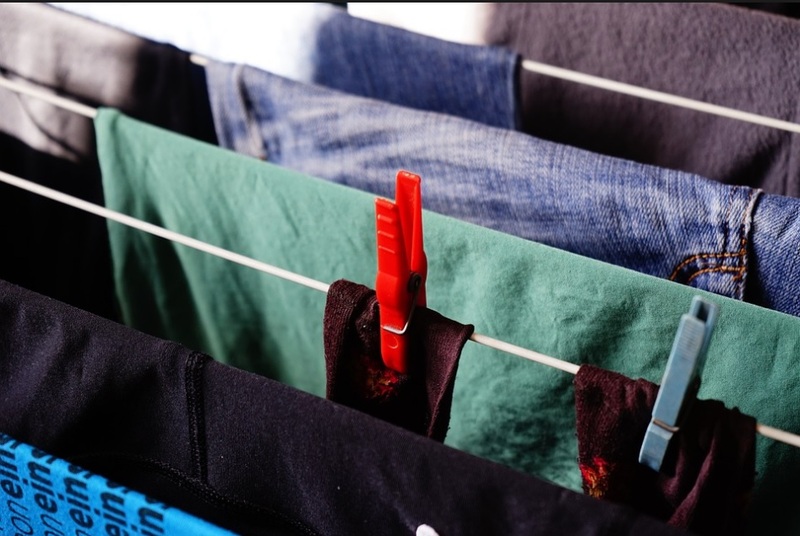 Scientist found that an average load of washing releases 2 litres of moisture during the drying process. This extra moisture makes it easier for mould to grow inside our homes and for more dust mites. This can cause respiratory problems, particularly for the elderly, infants and allergy-sufferers. Experts say that if use radiators to dry clothes, you shouldn't overload them. Completely covering them with clothes will make your boiler work harder and increase your energy bills. One solution to the problem is to use a tumble dryer. In America, they're much more common where as we tend to worry (quite rightly!) about the increased running costs and environmental impact of using them. A greener alternative is to have a separate area for drying clothes to dry. Ideally, the place should be heated and have an extractor fan. Failing this, opening a window (whenever possible in winter!) will really help as it lets the air circulate. I know quite a few people who dry their clothes over their bath-tub. This isn't that bad of an idea – as long as you keep the extractor fan on 24/7. And who does that? If you don't, you're going to add to the moisture in an already humid environment. Which could lead to mould growing in your bathroom. Not what you want to see (or inhale) the first thing in the morning! We don't have space for a tumble dryer :( We use an airer and the windows to get condensation on them a lot!